As the bus pulled into the familiar car park and our excited faces were greeted by loved ones who haven’t been seen in a year, I started to find my peace again. Completely different from the previous year, but equal in fun and adventures and love and happiness! 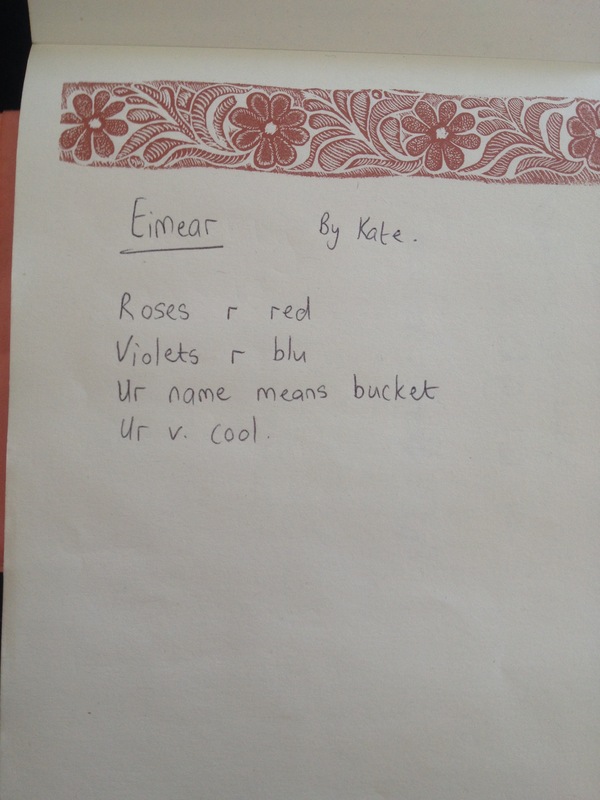 The night before, my friend Kate who had travelled with me last year arrived to my house and the giggles began. The excitement was overwhelming that we had to force ourselves to sleep in order to get enough rest for the next day. My two cousins also joined us as we all had to travel up early the next day. My cousins had never been before, so to say that they were very nervous is an understatement. But they were there and it was official. The journey to Taizé, in the south of France, had started. We met my aunt and the other 46 adventurers in the airport, and we all received matching hoodies, with all our names on the back! After our last “decent” meal of the week in Burger King, it was time to fly away to the village we missed so much. Kate and I were seated next to each other, along with a guy who turned out to be one of my best friends of the week. We messed up his name a lot, so we decided to call him Sebastian. (Un)Fortunately, the name stuck and it was not until Wednesday that people actually realised that that was not his name… After a ukulele singalong on the plane, a lot of annoying the two people beside me to keep them awake, and a strategic “good cop bad cop” resheral done between Kate and myself to ensure that we were the best Team Leaders, we had landed in Lyon airport! The scene of the crime last year, when we had to say goodbye to a few who were heading home on a connecting flight. But at that moment we were all there for the right reasons, and with the blissful heat I never felt more excited. We reminisced on last years memories and made parallels on the hour and a half bus journey. But the time had finally arrived. We had finally arrived. 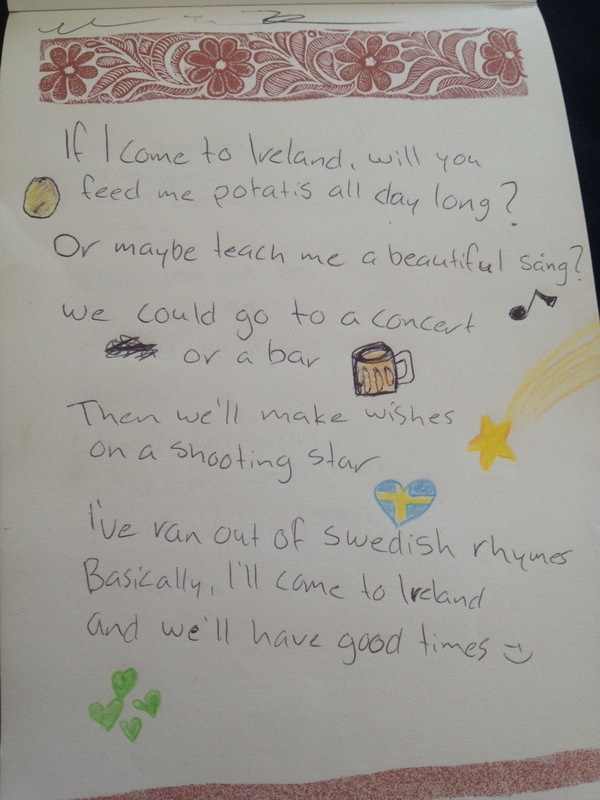 Greeted by our Swedish friends who visited Ireland last March, I already knew it was going to be a week to remember. 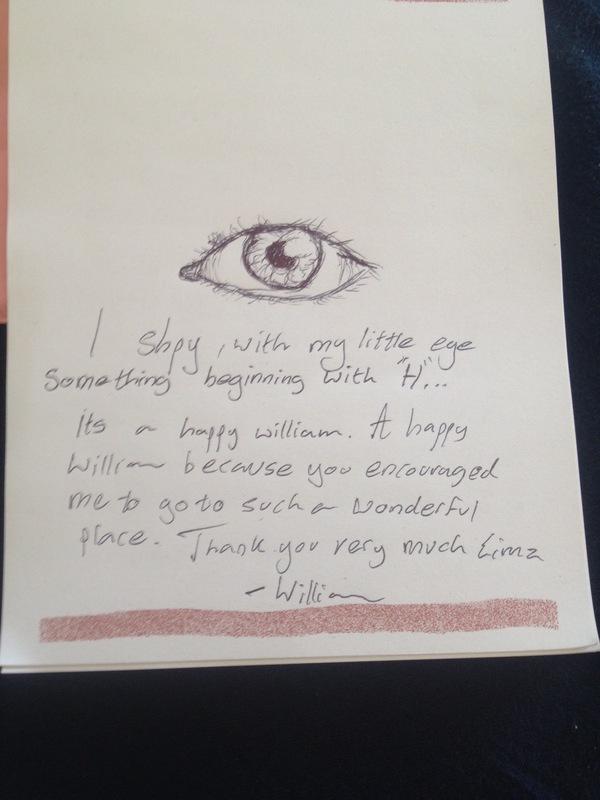 But my biggest hello was to a Swedish girl, Mimi, who I had not seen since that time last year. My bag was flung across the carpark to embrace in a running hug with one of the sweetest people who I had missed so much. 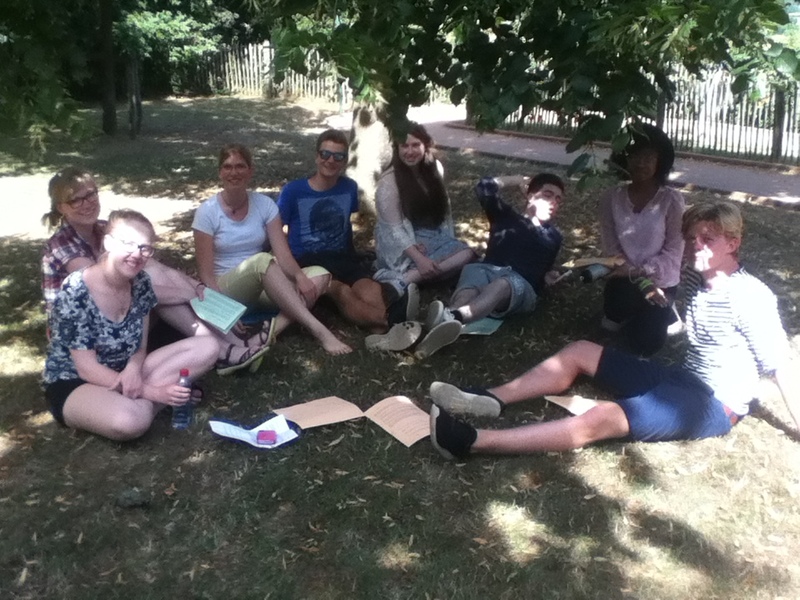 And then after getting our emotions together, the group was led to the meeting tent where we got French information sheets before they saw how pale we were and gave us the English ones. We made a lot of jokes about this, and then realised that sarcasm wasn’t really the Speakers forté… So we left our bags in the tent and went to get our first meal. Slimey pasta, an apple, a yogurt and a biscuit for dessert. Yup. Taizé food had not changed. We met a few more familiar faces and got assigned our rooms. I was put in charge of guiding everyone to their rooms. As it turned out, no room was unlocked and one of the assigned rooms didn’t even exist. However, we sorted through it. And by sorted through it, I mean a guy came around on a bicycle with a key and we found the missing barrack. Successful Team Leader is Successful! There were four girls in my room. Myself, Kate, my friend Ciara who came last year, and her friend Irma (who we had met before, but didn’t travel with us the previous year). As we saw that we had two rooms of male germans next to us, we realised that we were in the male section of the barracks. We didn’t bother changing. Three doors down were the Irish males, so it’s not like we were alone! (Plus we got away from the inner city girls who refused to cooperate). We didn’t even unpack before heading back to the centre of the village. We had a singsong and proceeded to the Oyak café which we missed so much. The group played games, got reunited with people, met more people and reminisced. As usual, we finished at 11.30 but stayed up until 2am as we went to visit Mimi who was on night guard. (The person who encourages people to stay in bed after 11.30…. we didn’t count). Monday morning brought nostalgic memories to our life as we woke up sweating and just in time for a shower before heading to morning songs. We received the exact same breakfast as last year- a bread roll, butter, two chocolate sticks and hot chocolate! This is our breakfast for the following week. As our foreign friends went to the designated schedules of the day, we realised that we actually had no schedule. At 10 o clock last year we had our jobs, so I presumed it was the same this year. So, as a good team leader, I brought everyone down to the area where jobs were given out. The man there was super friendly, and told me there was five vacant spots left. There was at least thirty of us. So he practically begged the cleaning team to let us join. My roommates and I were put on barrack duty. 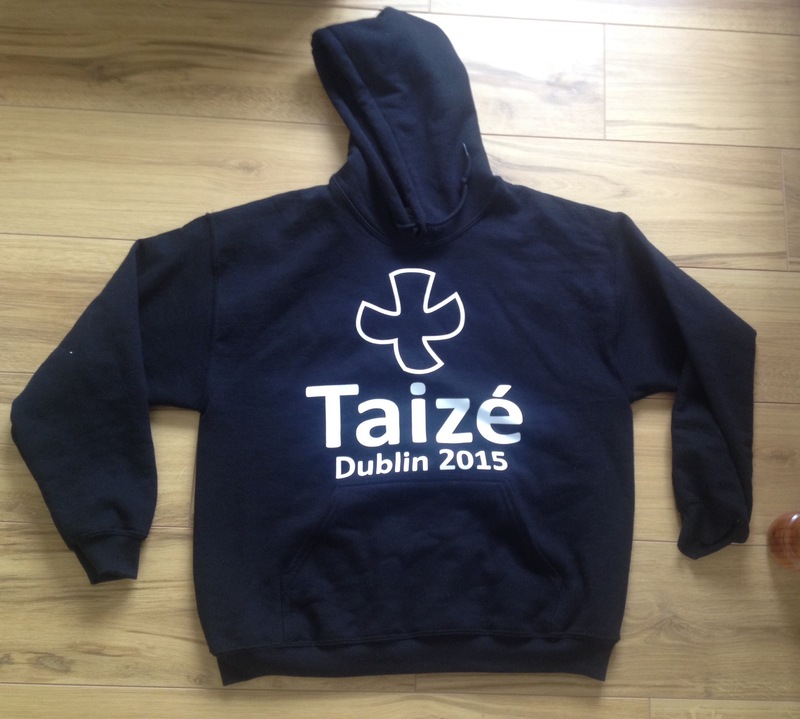 To quote our cleaning leader, “You Irish team are the slowest” and “In the time everyone has cleaned seven rooms, you cleaned three” and “Make the beds with love, we don’t want anyone to have a bad first impression of Taizé”. We had some good banter with him though, so he mainly just laughed at how bad we were. We reapplied our sun cream and met up with the rest of our cleaning team for tea and biscuits. We had another sing session before lunch and found all our friends to eat with, and a frisbee game in the free area next to us. At three o clock we were instructed to be at a meeting point to have our daily talk. This discussed stories, morals, experiences and feelings and then split us into smaller groups to discuss it further. 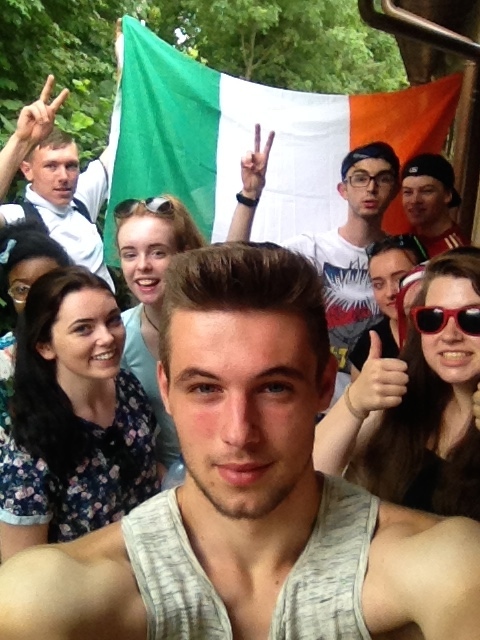 I was put into a group with one of my cousins, two germans, two swedish and another Irish girl in our group. 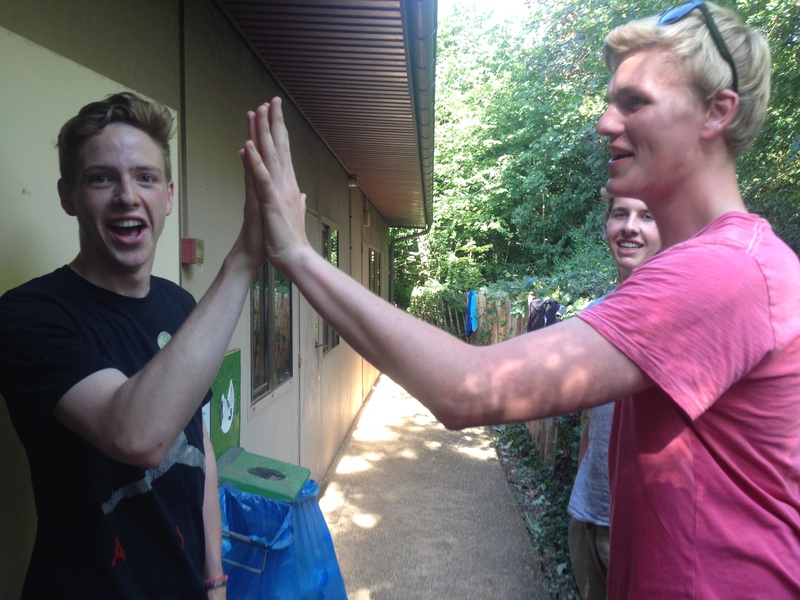 We got to know each others names, intrests, hobbies, reasons why we were all in Taizé and named ourselves “Team Handball”. My cousin and I couldn’t remember/pronounce one of the german names so we avoided using it all week. It worked, no one noticed. We played a frisbee game, lost our frisbee in the garden we weren’t allowed into, and ended at five o clock with another tea break. At seven we had our dinner, and met up with our Swedish friends. Our last songs were at half eight in the church and after we headed back to the Oyak cafe. We went to the church with a few others to sing a bit more to avoid bed. After a well needed body shower, we were exhausted and collapsed into bed. 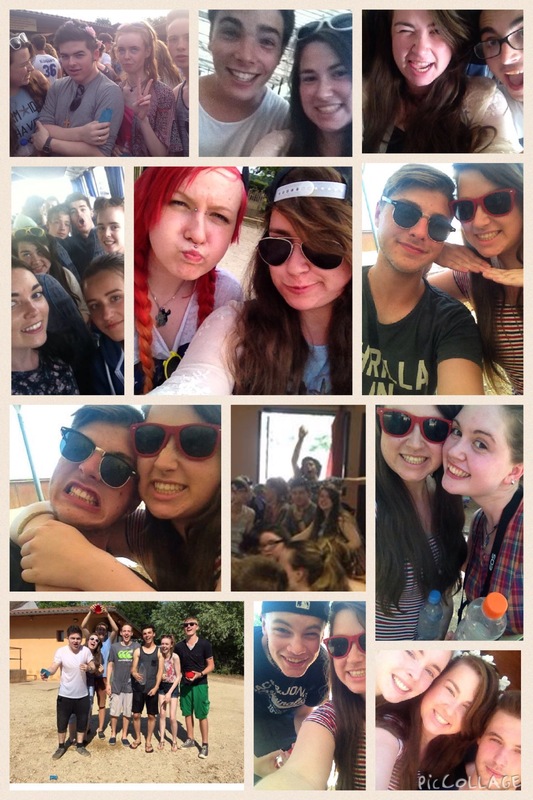 This was a typical day in Taizé, which only slightly alternated throughout the week. On Tuesday, our cleaning group got moved to clean bathrooms instead of bedrooms. And since there were so many of us, there was twenty people to clean three bathrooms and we finished in less than fifteen minutes. The male team leader got put into a separate group, so after we whinged he got moved and his reaction was “You guys are so needy”. We made friends with our german neighbours, and told them they were too loud. They told us we’re lucky that we’re the only girls on the row, we told them that they were the lucky ones and they agreed with laughter and blushing faces! On Wednesday our heatwave started and we were warned not to go outside. So we did what any other person would… apply factor fifty and go out anyways! The germans next door told us we were too loud the night before, so we called it even. We became closer with the Dutch boys, who accepted my cousin into their squad. “We like him because he is like us..he also doesn’t do things well.” They were such lovely boys (even if they did call me a donkey bridge all week). The tallest one went running every day with my cousin and one morning while they were running he said “There is a very pretty donkey up here”. Since they talk about donkeys a lot, my cousin thought that something was lost in translation. 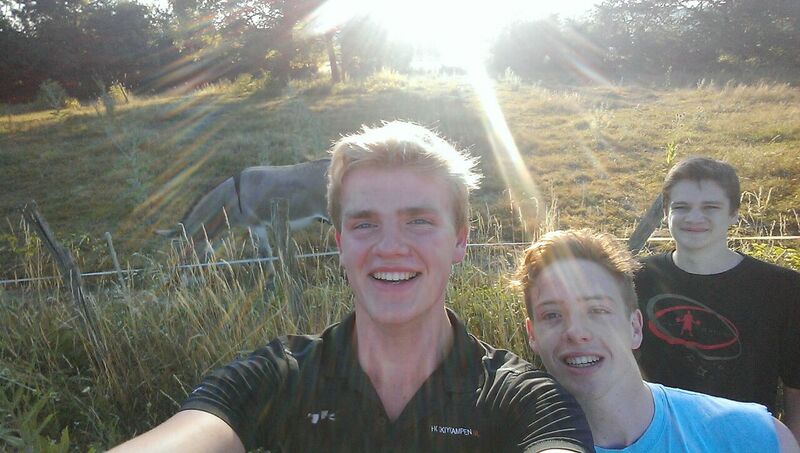 As they ran up further, the Dutch lad pointed out the well groomed donkey and said “Yesterday I made selfie with donkey”. I don’t think I ever saw a more adorable photo in my life. This 2 metre tall guy happily smiling next to a very well groomed donkey. Naturally enough, my cousin had to be in one too! We had a group meeting on Wednesday as a few of the newer girls who came were being a bit out of line. This meant that a few more legal members of the group were promoted to team leaders, and two more girls got moved into my room. They were two of the sweetest girls and I’m glad they did! (Even if I did lose my extra bed space!). My aunt (who was our Leader) emphasised that if we were disciplining our groups we had to do everything gently. So gentle talks, gentle enforcement of rules, gentle persuasion etc. 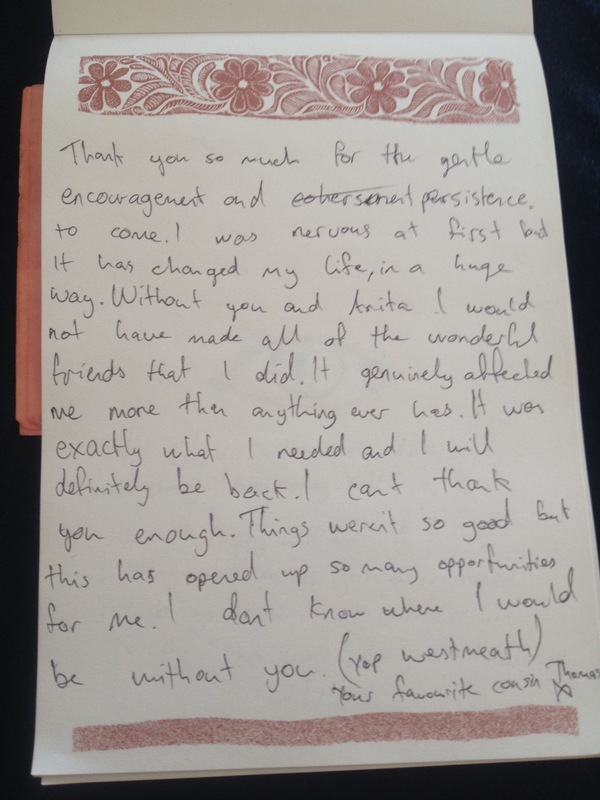 This then began the phenomenal of a “Gentle Rave”. A Gentle Rave consists of piling as many Dutch and Swedish and Irish people into a six person bedroom with a single light from a phone and music on such low volume that if you exhaled you couldn’t hear it. Also on Wednesday, I decided to skip the hour talk at three and hang out with three of my best Swedish friends instead. I tried their Swedish sweets (which were very salty??) and got to charge my phone. The only plugs around my barracks were in the bathroom, but the Swedish had USB ports and I definitely took advantage of that! I got shown photos of their beautiful scenery and they all promised to see me throughout the year. Thursday we deemed as “Cheeky Thursday”. Kate and one of my cousins live near me, so we have the same night club scene. Since it got done up, Fridays are over 19’s and Saturdays are over 20’s. Because of this, 18 year olds, despite being legal, can only get in on Thursdays, which is commonly known as “Cheeky Thursday in Lane”. 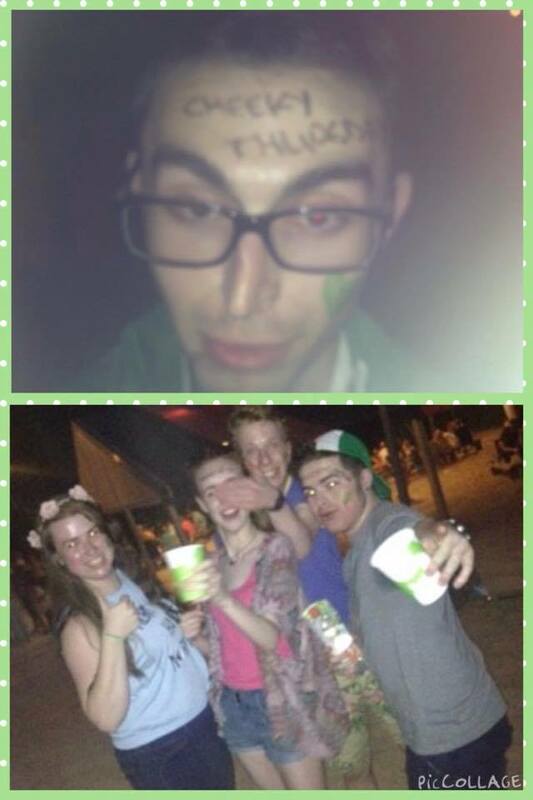 We hyped this up far too much and brought Cheeky Thursday to France with green face paint, one cup beer allowance and an Irish flag. We had a special Irish Gentle Rave that night! On Friday we spent the night with the Germans. It started off originally that I was outside my room air drying my hair before bed. Thanks to the insane heat wave this took less than 20 minutes, when usually it would take at least six hours. Two of the Irish lads who lived the few doors down joined me for company and had a balloon. One of them through the balloon into the Germans room and I told the Germans it was my friends birthday! They sang Happy Birthday in German and didn’t believe my friend when he denied it. So since he couldn’t convince them, he brought them sliced bread and pain au chocolat to celebrate his fake birthday. Since we were super loud we woke up our roommates who came out to see myself, the two boys and about 15 germans sharing bread. (Lol iconic, right?). Night watch came around to tell us to go to bed, but saw that we were having a good time and decided to join us. No this is not allowed. So eventually it was close to four AM and the germans were all up for partying. We got one of our friends to pretend to be night watch and send them to bed, which (thankfully) worked! I don’t think I was ever so thankful in my life for him! We were called the “Fan Club” because we had a habit of chanting names… such as Freddy! Saturday was a sad day as we knew it was our last whole day. We split it up evenly between each friend group. The Dutch boys were leaving that night so we met them at nine o clock before they left at ten. This brought many tears. And by many tears I mean they still haven’t stopped. 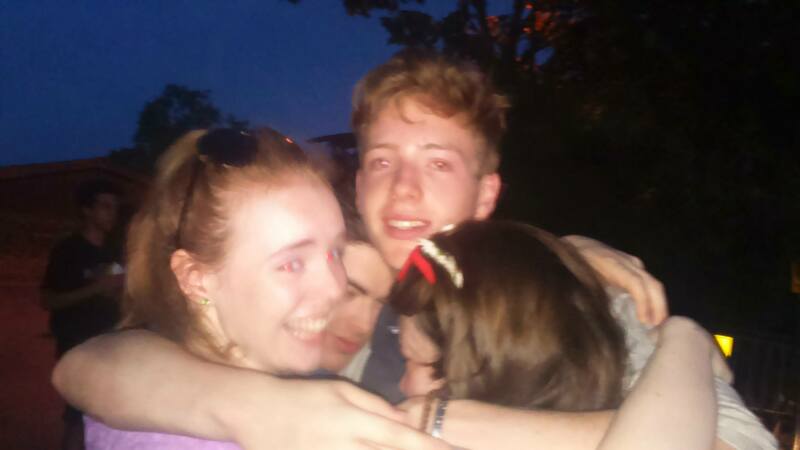 I got hugs from my whole team group, and had to be separated from Mimi as we were both just sobbing to each other. My cousins had never seen me so upset, and were so concerned that they were so baffled as to what to do with me. The Germans next door all gave me hugs too. I was a mess, and when people went out of their way to try and make me feel better it usually ended in me sobbing some more. This went on for the rest of the night and the following two days… whoops! 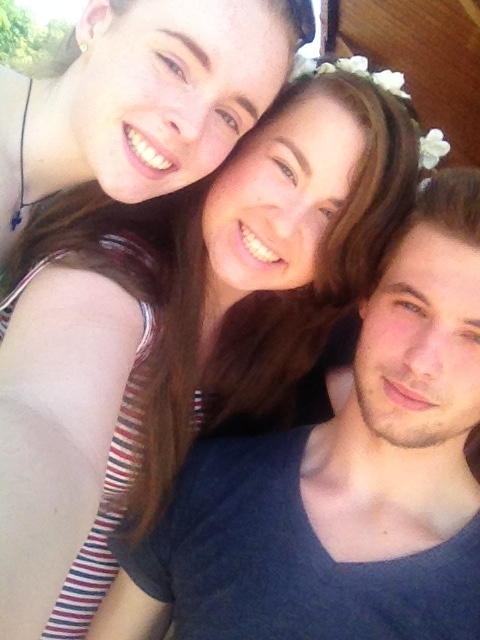 But overall, my week in Taizé was absolutely brilliant. Being around so many positive people has given me a new lease of life just like it did last year, and hopefully will next year! NUI Galway- Come at me bro! My summer has been so hectic this year, I haven’t even had time to process the fact that it’s almost over. Results day has come and gone, and I’m not ashamed to admit that I didn’t get my first choice of University. However, as much as I had convinced myself that I was heading East to Dublin, it never actually seemed real. I wasn’t the type of student who had their heart set on a certain course, I just chose it simply because I didn’t dislike it. I didn’t fall in love with the course, or the campus, or the area. Nevertheless, I was slightly disappointed when results day came, because I knew I didn’t get Dublin. However, I was soon on a plane and flying to Spain so I didn’t really get time to think about not getting it. By disappointed, I mean I realised that I wasn’t disappointed at myself for not getting the course. I was disappointed to admit that the course I’ve been reciting off to people since Easter just wasn’t going to happen. I was disappointed for others reactions. . . not my own. I was disappointed that I would have to change my story. This was the conversation I was dreading. And I was so wrapped up in my thoughts of how to explain to other people that I didn’t get Dublin that I forgot to explain to myself that in literally a week I was going to university. It was always a phrase that was tossed in the air- “This time next year we’ll be in college!” But I never thought the day would actually come where I only return home for holidays. Three of my cousins and my sister all repeated their last year in Secondary school because they didn’t get their desired choice. So in my mind, this was what I was going to end up doing. But, I got my points needed, so there was no need to repeat. This is a good thing by the way, to anyone who is not familiar with the Irish education system. I’m scared. There’s no doubt about that. I’m officially leaving my home- and officially leaving my comfort zone. All my plans had been thrown out the window and rearranged in the short space of a week. But as of today, I am a registered Arts student in the National University of Ireland, Galway. So c’mon Uni, do your worst! So I may have been AWOL for the past week as I’ve been totally and utterly sick since last Tuesday. There’s also the distraction of The Vampire Diaries, my cousins coming over and Higher Options. (I’ll probably do a separate post about my day in Higher Options, but for now, I’ll leave it.) The match is on today; Dublin vs. Mayo. The parents are all set to watch it which means a free night for me, (excluding the homework I’ve been piling up all week, and extra Irish). Oh look, there’s me scaring myself again. So practically nothing has changed. Not that it ever does, but oh well. I’m going to a River tomorrow for a Geography trip. That ought to be fun. On the bright side, only 14 more Saturdays til Christmas!